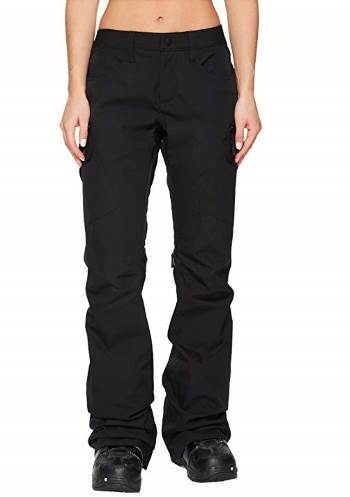 When you're in the freezing cold, trudging through snow, you need women's tall ski pants and other winter gear in long lengths that fit. There's nothing worse than bitter cold air drafting up your arms and legs or icy snow sneaking in around your ankles. I can help you keep that from happening! If you need a tall ski jacket to go along with the snow pants, you'll come across a nice selection as well. Finish it off with large size women's snow and ski boots to protect your feet from the winter elements and you're ready to go. Time to hit the slopes, ladies! 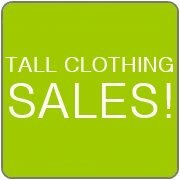 Eddie Bauer ($$) This is a great place to find a wide variety of ladies outerwear and winter wear. 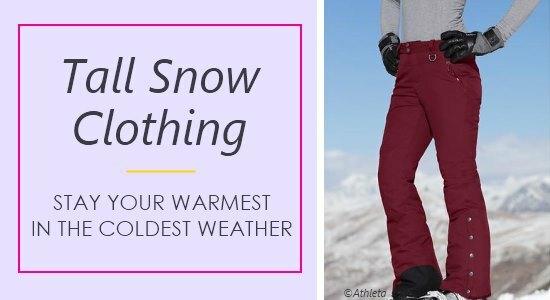 Their winter clothing line includes tall ski pants and ski jackets, snow coats, down jackets, soft and hard shells, vests, and base layers. I would start here when searching for these kinds of items. 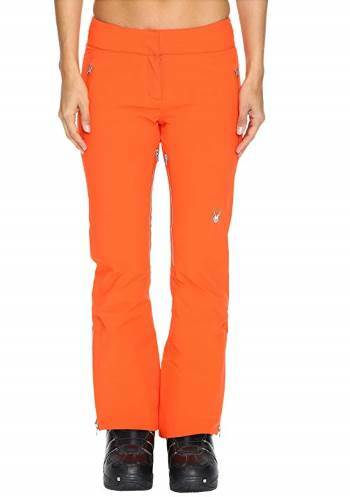 Zappos ($$) Here you will find women's snow/ski pants and other active style bottoms in longer lengths. 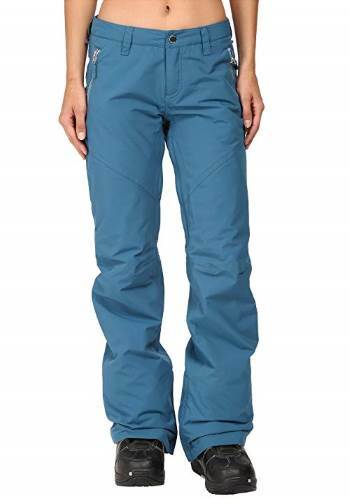 The longest inseam in ski pants I found at Zappos is around 33.5"-34". Also check here for large size winter boots. They carry a number of different brands and styles. You'll get free shipping and free returns, so if you see something you think you may like, go ahead and give it a try! 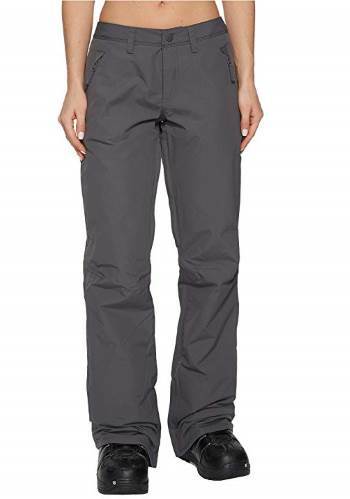 Athleta ($$) This activewear specialty store offers ladies tall ski pants and other winter bottoms in up to 35" inseams as well as hiking pants, exercise pants, leggings, and moisture-wicking tights. The special polartec material in some of their products helps to protect you from cold, harsh outdoor conditions. 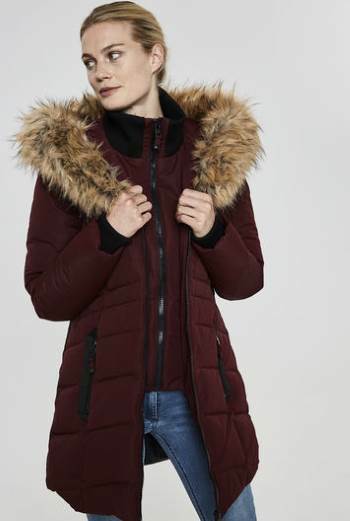 Long Tall Sally ($$) This is not specifically an outdoor clothing store, but you'll still be able to find a selection of tall down jackets and winter coats as well as a number of active tops and bottoms. You can visit any of their retail locations, but their website will give you the best and most options to choose from. Shoes.com ($$) You will find a variety of women's large size snow boots and shoes meant to keep your feet warm and dry during your outdoor winter activities. They offer free shipping and free exchanges on any purchase. What are your thoughts, tall friends? Leave a comment in the box below. I understand that you will use my information only to send me The TALLegram newsletter.